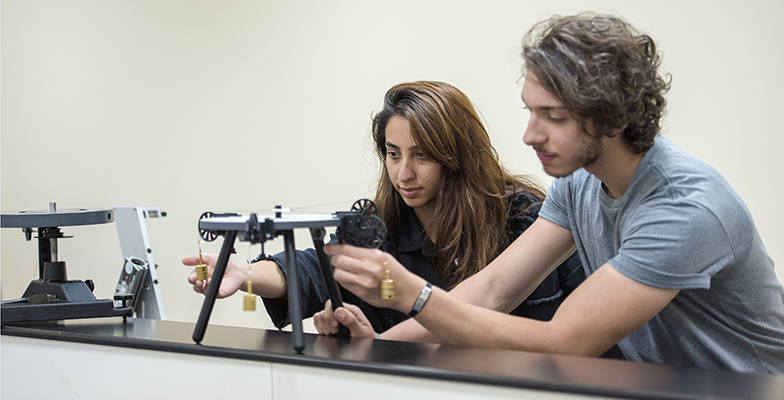 American University of Sharjah (AUS) is launching a Bachelor of Science degree in Physics this coming fall semester, with the first intake of students beginning their degree in August 2018. This new physics degree will be unique to the region, offering an interdisciplinary approach that gives students a wide and varied undergraduate education. The program will encompass highly specialized physics fields, with an emphasis on application of scientific skills in the real world, while also providing students with the opportunity to undertake electives from across the liberal arts. The degree will give students significant expertise and knowledge in the much-demanded STEM fields (science, technology, engineering and mathematics). Students will have the opportunity to study with faculty who are well-known for their distinguished research records, and who collaborate with world-renowned laboratories and physicists across a number of physics subsets, including: atomic physics, molecular physics, laser physics, materials science and condensed matter physics, nuclear and particle physics, space physics, and astrophysics. With three members of the Department of Physics currently serving on the UAE Mars Mission Science Team, exciting opportunities exist for students to learn from faculty at the helm of some of the UAE Government’s most important projects. Special focus will be placed on training students to think rigorously and conduct research, with students encouraged to expand their cognitive, experimental, and theoretical skills. This will help them to acquire and expand their knowledge as their scientific interests evolve over the course of their career. “With science and technology developing at an unprecedented rate, it is critical that today’s science undergrads are equipped with the skills and tools to adapt to the ever-changing scientific and technological landscape, as well as lead it. As the late Stephen Hawking stated, 'intelligence is the ability to adapt to change.' An example of where science education has had to rapidly adjust to changing norms is in the area of nanotechnology. We have therefore ensured that the new physics degree is informed by the advances transforming nanotechnology, as well as other emerging trends and discoveries across the science fields." The university’s reputation throughout the region for academic excellence, and the unique quality of the American-model of university-education, suggests graduates of the physics degree will enjoy strong job prospects in regional and global employment markets. Graduates will be well-placed to teach at prestigious government and private schools, as well as being well qualified to pursue graduate studies at American, Canadian or European research institutions. Prospective graduates will be able to take advantage of collaborations between the department’s faculty members and international graduate schools, with such partnerships presenting opportunities for AUS graduates to pursue their academic careers at some of the world’s most respected universities.